This is the 2013 TA, but it should be similar to the current contract. Look at section 8. Specifically 8-1. First class seating will be mandatory when any one (1) deadhead flight segment is scheduled to exceed five hours (5:00) block-to-block. First class seating will also be mandatory for all flight segments when a combination of consecutive deadhead segments is scheduled to exceed five hours (5:00) block to block and a flying segment immediately follows the deadhead segments within the same duty period. Deadhead Five Hours or Less: Seating will be provided in the following order with respect to deadheads of five hours (5:00) or less, unless described in A.1 above. (1) FirstClassAvailability:Firstclassseatingshallbe made available to deadheading pilots provided first class revenue passengers are not displaced. (2) Priority:Priorityforfirstclassseatingamong deadheading pilots shall be granted by rank (e.g., Captain, First Officer, etc.). If First Class is not available then a reclining exit row aisle or window seat (preference stated by pilot), if available. If neither a First Class nor exit row seat is available, then a reclining aisle or window seat, (preference stated by pilot), forward of the over wing exit row will be assigned. If a pilot does not have a flying segment following his deadhead segment in the same duty period, then seating will be based on availability if seating per paragraph 8. A.2.a-c above would cause displacement of passengers. My interpretation of the bolded part would be people who actually paid for first class. Not economy revenue passengers who upgraded to first class. 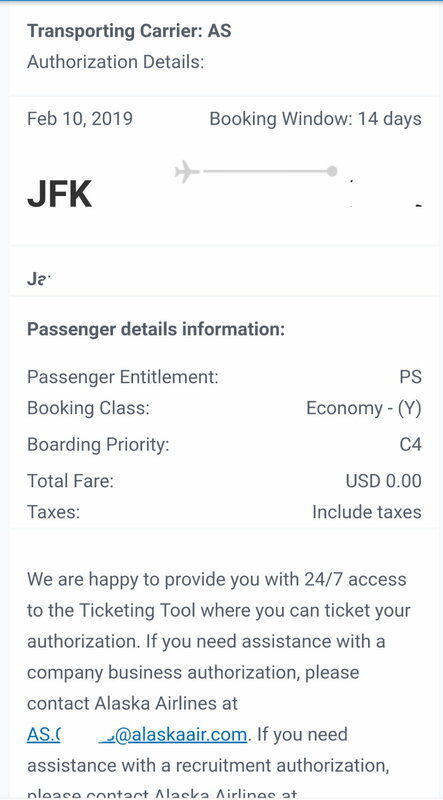 I would never consider myself a "first class revenue passenger" if I was upgraded simply because I never spent the "revenue" for first class. I see others disagree with my interpretation. Although I guess the the second part...that the passenger shall not be "displaced" is also instructive. In the situation in the described by the OP, the OP was not "displaced", he was never in the first class seat. So in other words, the rules were followed if it was a deadhead flight. They gave him a first class seat and no one was displaced from that seat. Revenue passenger simply means that one is not a nonrev. PVDtoDEL and jinglish like this. Your interpretation is correct. The ALPA contract specifically refers to "first class revenue passengers," meaning someone who paid for a first class ticket, either with money or using miles for the entire ticket. Good to know that at least award redemptions are protected. OTOH, if I'd never been provided an F seat, I'm never counting on one. Too many possibilities that would prevent the upgrade. Somewhat different story if I'd held a confirmed upgrade for months using a GGU and was displaced.